Like many historic coastal villages, Heacham’s heritage interest and local environment setting are its defining assets, and local residents are both proud and protective of those features that give the village its sense of place and sense of identity. 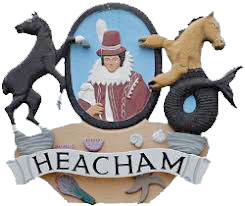 The Heacham Neighbourhood Plan is a community-led document for guiding the future development of the parish. This plan is our community’s opportunity to shape and guide development that will take place in our area up until 2036, and make sure that it is appropriate to our needs and aspirations. If successful at referendum it will become part of the statutory development plan for the area. The introduction of neighbourhood planning is part of wider challenges to the planning system in the Localism Act 2011. The Act aims to shift decision making from central government to communities and councils. Neighbourhood planning helps town and parish councils to prepare a plan for their area, in close consultation with residents, businesses and other local organisations. Neighbourhood Plans are for the social, economic and environmental wellbeing of everyone in the community.